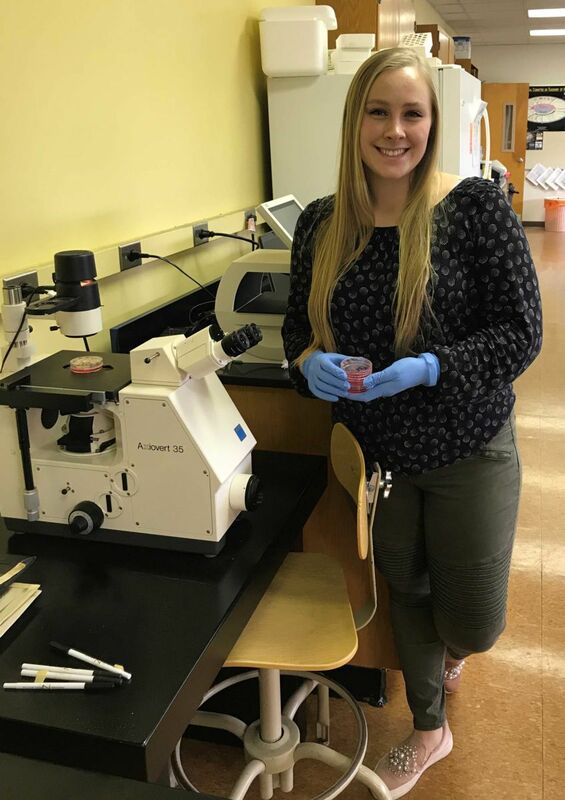 Terwilliger’s project, “Investigating Chemotherapeutic Effects on Calcium Location and Nuclear Transport,” researched nuclear transport in the process of cell death as induced by chemotherapies. Dr. Karen Resendes, associate professor of biology, served as her research adviser. To research the effects of the drug treatments on killing cancer cells, Terwilliger used the combination of the drug treatment thapsigargin and the chemotherapy gemcitabine, as well as the combination of thapsigargin and the chemotherapy 5-fluorouracil (5-FU). Terwillinger determined that both drug combinations do not significantly induce cell death, and that the combinations were less effective at killing the cancer cells than the individual drugs. She also investigated the distribution of calcium in the cell to aid her understanding of how the drug treatments affected calcium distribution and nuclear transport. Terwilliger is the daughter of Anita Terwilliger of Cabot, Pa., and a graduate of Knoch Senior High School.